Sun shines on the happy couple! 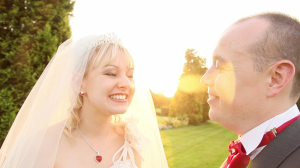 Tracey and Martin’s ceremony was at St Paul’s Church, Dosthill before their reception at Swinfen Hall Hotel - we love filming here! We’ll let the film do the talking for us and hope you enjoy watching it even a fraction as much as we enjoyed being part of this lovely day with super people.